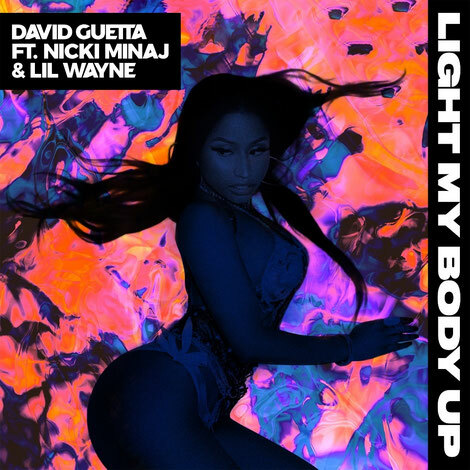 David Guetta has joined forces with Nicki Minaj and Lil Wayne, on ‘Light My Body Up.’ Bridging the gap between electronic and urban artists, David’s vision and ability to fuse the two worlds has seen him possibly produce some of the most popular collaborations on the planet – and this latest one will may well follow suit. Rising through the ranks to achieve a level of stardom that most producers can only dream of, the two-time Grammy award-winner has amassed 50 million album and single sales, two billion streams on Spotify alone, provided the original soundtrack for the UEFA Euro 2016 soccer championship, and probably played every major music event under the sun. We also game him his first UK dance music cover on M8 Magazine back in the day. Continuing his appearances across the dance music festival circuit he recently headlined Ultra on Sunday, 26 March, marking his 11th straight year at the festival. Hailed as ‘the most influential female rapper of her time’ by the New York Times, Nicki Minaj was the first female artist to be included on MTV’s Annual Hottest MC list and was included in TIME’s 2016 100 Most Influential People list. As further proof of her global impact, in 2010 Minaj became the first female solo artist to have seven singles simultaneously charting on the US Billboard Hot 100, and has sold an impressive 20 million singles as a lead artist and 60 million singles as a featured artist worldwide. Recently, Minaj reached another milestone as she marked her 73rd career Billboard Hot 100 entry – tying Aretha Franklin for the most total appearances among women in the 58-year history of the Hot 100 chart. Hip-hop’s Lil Wayne shot to stardom when in 1991, at the age of 9, he became the youngest member to join Cash Money Records. Fast forward to 2012 – with 109 entries in the Billboard Hot 100 chart, 34-year old Lil Wayne surpassed Elvis Presley’s longstanding record to become the male with the most entries in the chart. The founder of Young Money Entertainment has twelve studio albums under his belt, selling over 100 million records worldwide to make him one of the best-selling artists of all time. ‘Light My Body Up’ is out now.